We could all use a little extra bathroom storage. 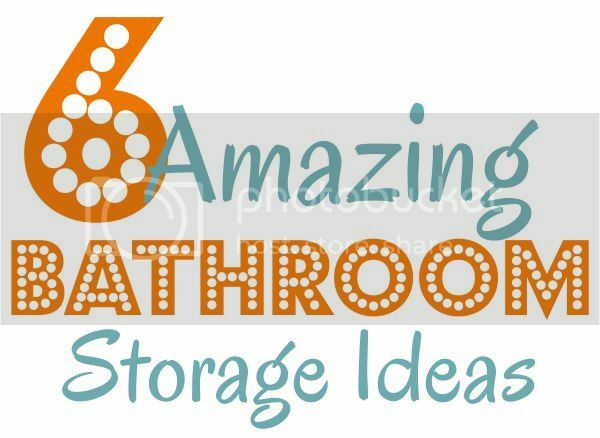 Here are 6 bathroom storage solutions that anyone can use. Attach plastic bins to the inside of your doors with suction cups. Install mason jars behind your sink to hold toothbrushes and toothpaste. Build your own cabinet door storage. Use old crate to store linens. Install recessed shelves behind the door. Thank you for featuring my 2-Tier Plate Holder!! 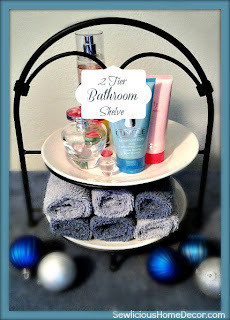 I have really enjoyed using it and how it looks in my bathroom. I love the mason jars in the bathroom! I'm trying my best to get more creative with cutting down clutter after moving a bunch of excess stuff to public storage in Santa Monica. I'll definitely be using some of these ideas for inspiration. Thanks! This is a great article with a lot of good ideas. Since moving my family and I have been creating a lot of storage space in our house to fit all our stuff. Unfortunately our house is a little smaller then our last so we have extra furniture. I decided to look at storage units Richmond VA and it looked like a good option. Why i haven't thought about the mason jars?? anyway i was delighted about the idea but i do prefer that a jar that can cover the jar co'z i want my toothbrushes covered. especially with my kids toothbrushes in that way i can keep it free from microbes. 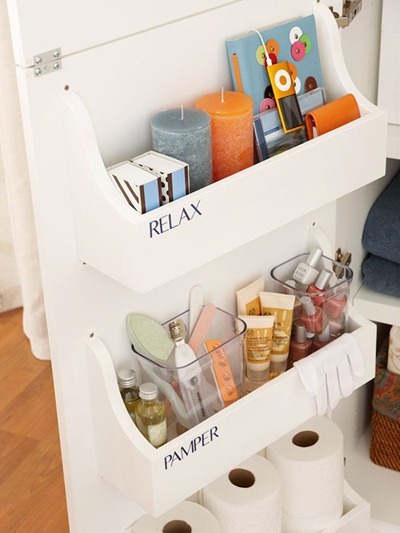 These bathroom storage ideas are great, especially if there is more than one person in the household. There would be some space meant for each individual, and it caters to the needs of every individual. With limited spaces, bright ideas on how to conserve and maximize space are usually born. It is also best to keep in mind about the design of the space and the storage cabinet that goes with it. Apart from the design, the color scheme also plays along with the entire environment, which sometimes defines how spaces are divided. Floor design is one good example of space definition. I never though about these create things. Last time Vancouver Green Cleaning services did a great job and now its my turn to practice your tips. I've been looking for storage in Scarborough ideas. These are great, I'll definitely be using them. These look like some good ways to save space in my house. I especially like the idea of hanging racks on the back of my sink cupboard doors. I will have to write some of these down for storage next year.